From the opening chords of the 1928 organ work, Le banquet céleste and a simple gesture from the Quatuor pour la fin du temps (1940-41) is made a solo work for harp. The two chords are announced at the outset a piacere, and then the statement is lengthened through repetition and variation. 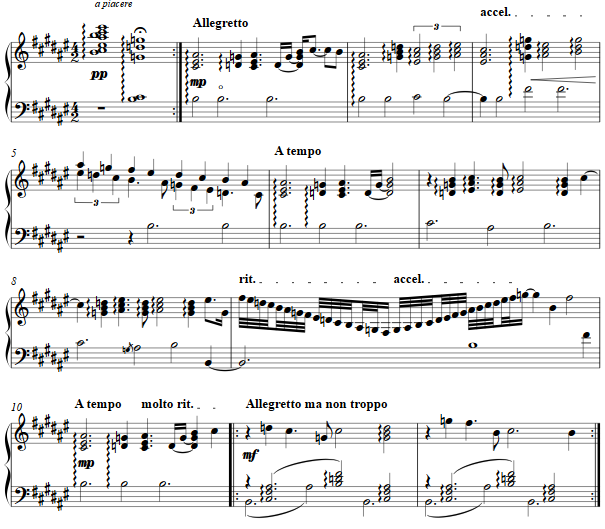 The parallelism in the right hand later recalls a small fragment of the piano's role in the quartet.